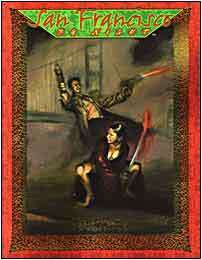 San Francisco by Night is the first crossover city sourcebook for Kindred of the East and Vampire: The Masquerade. Covered in full detail are San Francisco's history and geography, along with the city's major undead players and their nocturnal agendas. More importantly, the book bridges the two game lines, giving Storytellers and players enough information and story ideas to run any style of chronicle.